A new documentary out this week, “Frank Serpico,” presents the full story of what happened, as told by Serpico himself and some of the others who lived through it. We talked to the director, Antonino D'Ambrosio, about his film and Serpico’s historic significance. What drove Serpico to blow the whistle? On a basic level, Serpico just wanted to do his job, which was to uphold the law and protect the public. He loved being a cop and he loved public service, which made it hard for him to witness and accept corruption and abuse of power. Due in part to the Sydney Lumet film “Serpico,” starring Al Pacino, people think that Serpico just refused to take part in the graft, immediately went to The New York Times to report it, which led to the end of corruption, and then he rode off into the sunset like the Lone Ranger. The reality was much different. As I’ve detailed in my film, the graft at the time went into many millions of dollars — it was systemic and endemic. Yet, for quite a while, his partner took Serpico's “share” of the payoffs so Serpico could be left alone to do his job. But the other officers around him eventually found this arrangement unacceptable and became increasingly suspicious about Serpico. This pushed Serpico to act because it literally became a matter of life and death. But it took five years — a period of time when he was terrorized — and culminated with the nearly fatal shooting of Serpico during a buy-and-bust that remains to this day shrouded in a murky haze of what truly happened. The underlying motivation behind Serpico to “light the lamp” — he prefers the term “lamplighter” as opposed to “whistleblower”— flows from an unbreakable sense of ethics. Early in my film, he shares a story about a confrontation his father, an Italian-immigrant cobbler in Brooklyn, had with a police officer who never paid for his shoeshines. After confronting the officer, Serpico’s father tells his young son: “Never run when you’re right.” That lesson formed the foundation for how Serpico continues to live in the world. Sarasota County CommissionersWhy do you think he became such a cultural icon, and how does he fits into the history of famous whistleblowers? The best way to answer this question is to share what Daniel Ellsberg, who famously leaked the Pentagon Papers and is also an influential whistleblower, said about Serpico: “Serpico is the godfather of whistleblowers.” Serpico possessed the right combination of attributes that allowed him to become something more than a cultural icon: He’s an American archetype. A child of immigrants who believed in the American dream: working hard, dedicating his life to public service, standing up for what he believed was right — and he nearly lost his life for his efforts. What was the role of the press in this story? Do you think it would play out differently today? The role of the press in Serpico’s story was — and still is — essential. In particular, the great investigative journalist David Burnham of The New York Times, who is a prominent voice in my film, deserves a huge amount of acknowledgment. Once Serpico and later NYPD Sgt. David Durk started to provide details of the corruption to Burnham, the reporter soon realized that the depth and breadth of the corruption was far-reaching — it went all the way up to the mayor’s office. Spending time with Burnham in making this film remains one of the great moments for me. He’s a study of integrity, ethical journalism, and tenacity in pursuit of the truth and in confrontation of abuse of power. Of course, Serpico’s story would play out differently in today’s media landscape, but I’m not sure how. For one thing, there’s the advent of social media. On one hand, social media may have helped to amplify Serpico’s efforts, similar to what Chinese artist Ai Weiwei did in exposing the corruption of the Chinese government when a devastating earthquake killed nearly 70,000 people — including 9,000 schoolchildren — in Sichuan Province in 2008. On the other hand, social media could have been used to vilify Serpico’s efforts, which is an all too common situation now, particularly around attempts to expose abuse of power. Ultimately, though, I think stories like Serpico’s do prevail, finding cracks in the pavement like quicksilver. There are always pockets of those working to tell real stories, stories that matter and make us stronger as a democracy. The recent stories surrounding the sexual abuse and abuse of power by Harvey Weinstein — and more significantly the bravery of the dozens of women who came out and said enough is enough — is a fresh example. It’s been over 40 years since Serpico was a cop, but lack of police accountability remains a serious problem. How does the film tie together the past and present? In all my work, I excavate the past and shine a spotlight on it so we can better understand our world today. The big vision here is that there is no difference between the “then” and the “now” — and that where we are as a society today is part of a historical thread that has led us to our current time of crisis, conflict, and chaos. All of this emerges from abuse of power, which is in large part propped up by racism and violence. And in the film you see Serpico continuing to speak out against a system that allows police officers to literally get away with murder. 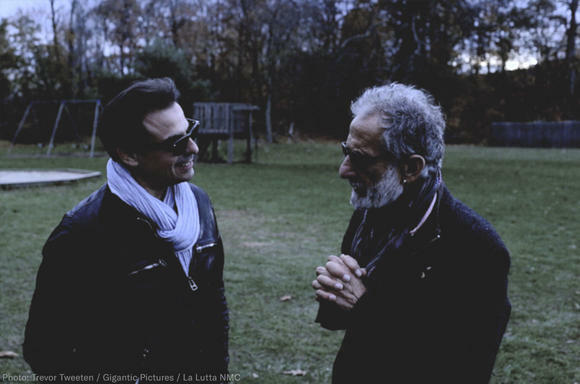 Filmmaker Antonino D’Ambrosio and retired New York City Police Detective Frank Serpico. Going forward, what lessons does Serpico’s story have for fighting police abuses? His story is about how abuse of power and corruption have become the dominant force in our political system and culture. In Serpico’s testimony before the Knapp Commission, which was established to investigate what he exposed, he offered a statement that in many ways has turned out to be a kind-of prophecy: If this is not challenged and stopped now it will infect the whole system. Now it’s not only the problem. But it is indeed the way the system operates. I hope that a diverse group of people can see themselves in and connect to aspects of the story. I hope that it builds at least empathy for “lamplighters” like Serpico. People always ask me, “Why aren’t there more people like him doing this? 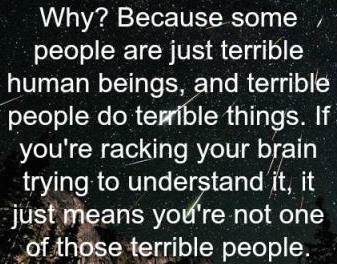 Well, it starts with stronger support, as many people who do this suffer terrible trauma or worse. Frank Serpico knows this reality all too well. At one point, NYPD Capt. Philip J. Foran told Serpico, “By the time this thing is through you’ll be found floating in the East River, face down.” When people realize that they are not alone, it could lead to much more action in confronting abuse of power. It’s something that doesn’t benefit just one person, but all of us.